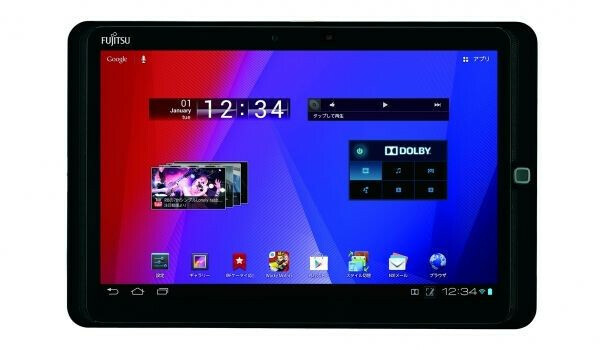 When we reviewed the first Fujitsu Arrows Android tablet, we were left with nice impressions about ergonomics and durability, but the screen resolution was nothing to write home about. Well, now Fujitsu is righting that wrong, unveiling a 1920x1200 Full HD Arrows slate with a 10" display, which sports a 1.7 GHz quad-core processor, 2 GB of RAM and 32 GB of internal memory, as well as a slim 9.9 mm body, with weight less than both the Nexus 10 or the iPad 4. There are also a fingerprint sensor and Dolby surround speakers on the slate, with the only downer being Android ICS, which should definitely be remedied in the future. 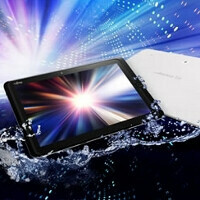 The tablet is on top of that water-resistant, and Fujitsu managed to stuff a giant 10,080 mAh battery unit inside, good for the whopping 14 hours of video playback on a single charge. 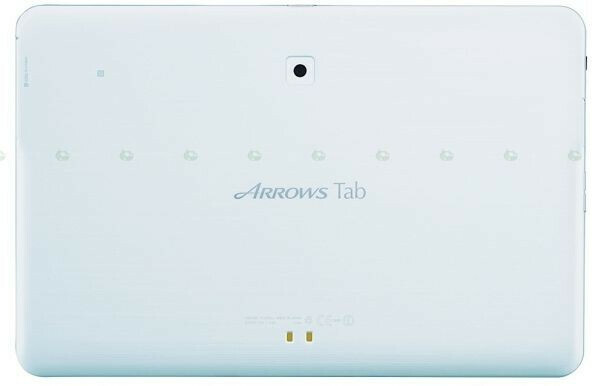 Add to this a microSD slot, and the new Arrows Tab is definitely drool-worthy, so we hope to see it with a price and launch outside of Japan soon. Availability is listed for February 15, while the price field remains "open". Cough cough* price point is where, exactly? apparently not so resistant to heavy water?